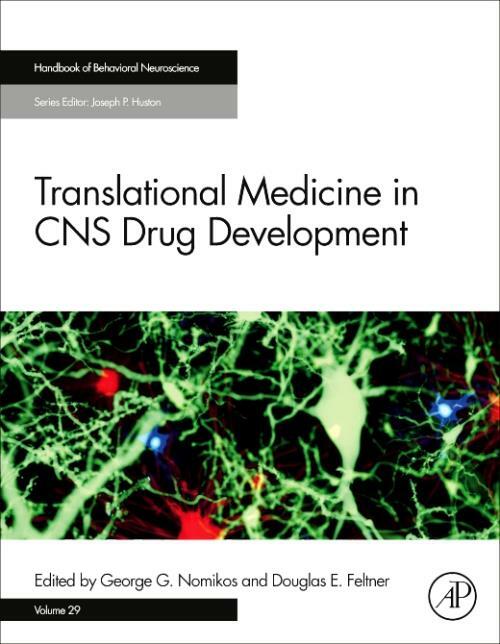 Translational Medicine in CNS Drug Development, Volume 29, is the first book of its kind to offer a comprehensive overview of the latest developments in translational medicine and biomarker techniques. With extensive coverage on all aspects of biomarkers and personalized medicine, and numerous chapters devoted to the best strategies for developing drugs that target specific disorders, this book presents an essential reference for researchers in neuroscience and pharmacology who need the most up-to-date techniques for the successful development of drugs to treat central nervous system disorders. Despite increases in the number of individuals suffering from CNS-related disorders, the development and approval of drugs for their treatment have been hampered by inefficiencies in advancing compounds from preclinical discovery to the clinic. However, in the past decades, game-changing strides have been made in our understanding of the pathophysiology of CNS disorders and the relationship of drug exposure in plasma and CNS to pharmcodynamic measures in both animals and humans.